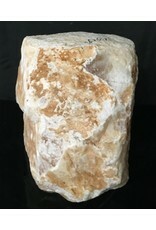 This stone is 69lbs and 12x11x8. 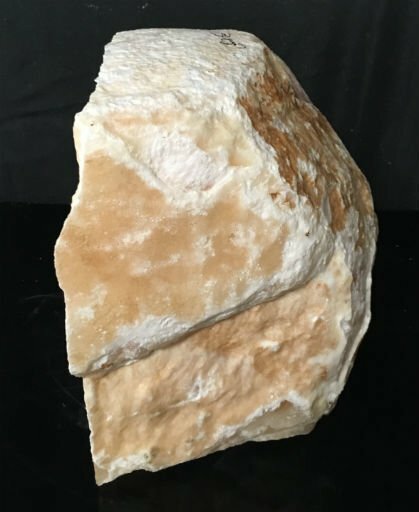 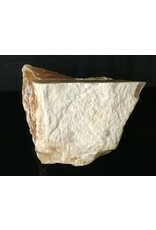 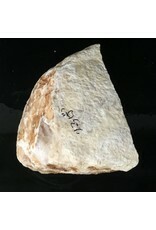 The stone is a honey orange with creamy white veins and white cream crystals. 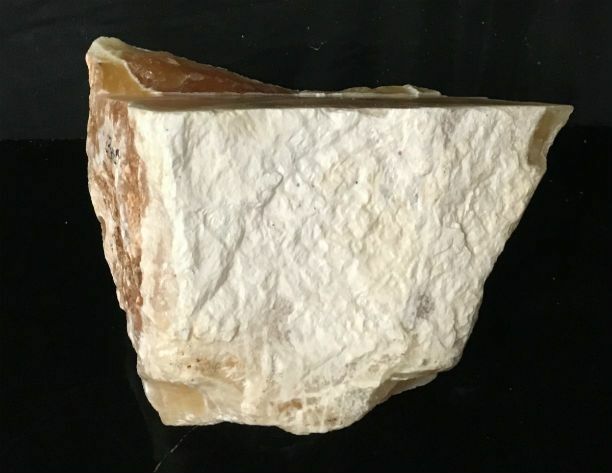 Comparable in characteristics to onyx and marble, Honeycomb Calcite can provide a colorful and dramatic accent stone for architectural and artistic applications. 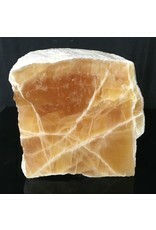 It is an unusual form of calcite as a result of its strength, stability, luminous quality and colors. 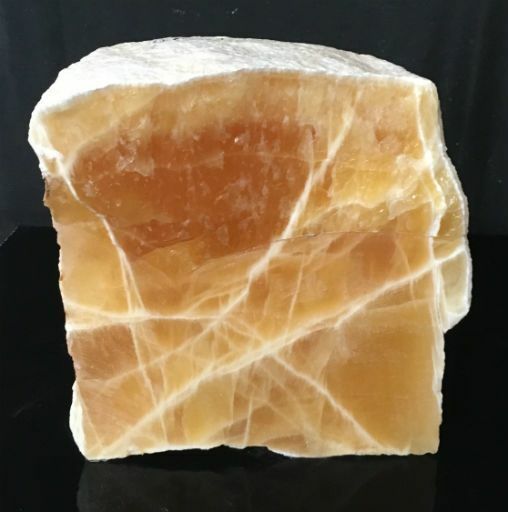 The color ranges from a soft, pale sunshine lemon yellow to a deep rich honey golden amber depending on the thickness of the stone. 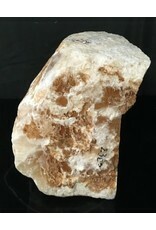 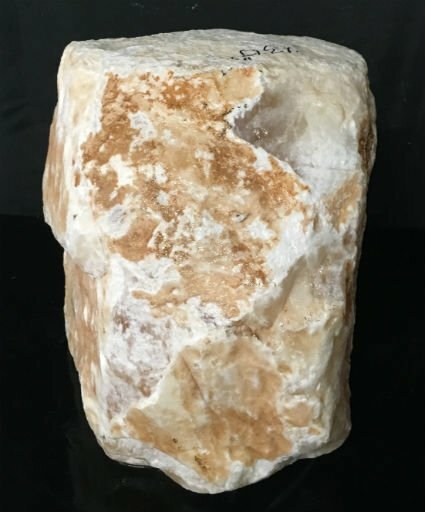 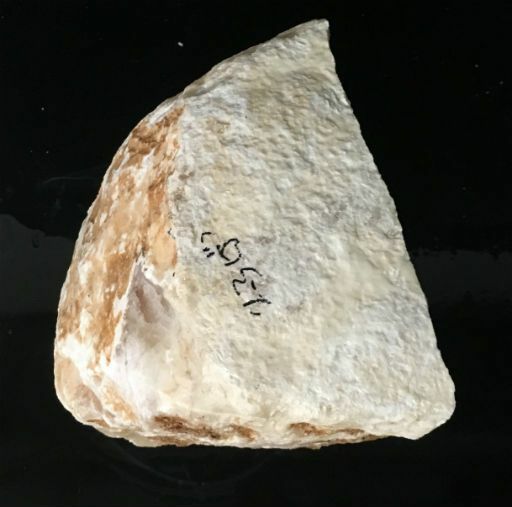 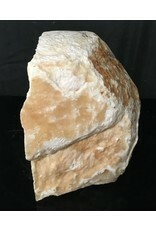 When Honeycomb Calcite is cut, it exhibits its unique honeycomb-like structure. 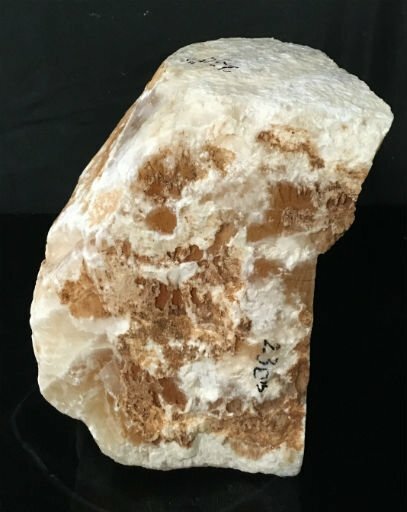 The honeycomb look results from the growth of long, fibrous or tubular calcite crystal cells outlined by white colored "membranes" surrounding each cell.